will visit five American cities where disparities in power and wealth trigger an inspired use of food to grow leadership, self-reliance and cooperation. Stops on the tour include universities, schools and school gardens, and urban farms. If the market only speaks with its supporters, then it runs the risk of arming its detractors. I hope all Slow Food leaders come visit us in May. If you do, let me know, I’ll be leading one of the tours.…. 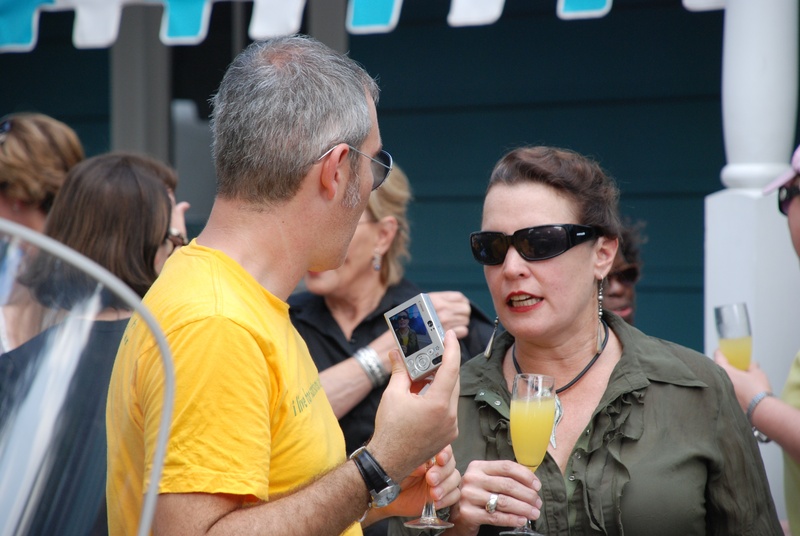 Come to the French Quarter of New Orleans for a national gathering of Slow Food chapter leaders and volunteers. Connect with fellow leaders, experience the local culture and build your skills and knowledge in workshops designed just for you. Live Jazz, fresh fish and fun in the heart of the French Quarter. Need we say more? SO glad that 2013 is finally bringing some good news to the national food movement. VERY happy to see my New Orleans colleague (and old boss) Richard McCarthy hired as the new E.D. of Slow Food USA. His background is ideal for the job: born in Germany, raised in New Orleans, he spent his university time in the U.K. with his British grandparents. Since founding Crescent City Farmers Market in 1995, his extensive travel (I wish I could find the picture of us at Terra Madre 2008 with our overall-wearing Mississippi farmer in tow) and his deep interest in world movements have continued to benefit the US farmers market movement. Honestly, there is no one that fits the SF job better in 2013; they now have a coalition builder, an outstanding visionary and a good guy. Can’t wait to see what he can do up there. 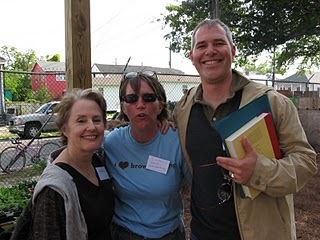 The founder of SF USA, me and RMC at the Edible Schoolyard New Orleans’ first fundraiser.